I am so incredibly thankful for all of the love, prayers, offers to help, Facebook messages, texts, phone calls, and FB posts that you have showered me with since the earthquake interrupted our lives up here in The Last Frontier! Every year I do an Ultimate Marketing Summit for my private coaching clients and my boot camp tribe. This year that day was this past Friday. We started promptly at 12PM EST and we were cruising right along with the consciousness surrounding referrals and role playing referral scenarios. I was role playing the daily referral conversation that boot campers have in their practices with Dr Rebecca Muñiz, who’s practice is in Puerto Rico. When I heard the first sound of the quake. I didn’t think much of it at first because we have earthquakes on a regular basis. I just thought it was one another one adding to our 44,000+ in 2018 already. However, within seconds it became apparent that this quake wasn’t like the usual ones. This one was hitting with a massive vengeance!! I belted out a blood curdling scream (all while still being live for the Summit) and then my world turned black. I braced myself in the door jam of my office and prayed for God’s protection. The sound of our home twisting and flexing because of the force of the quake was deafening. The sound of contents inside our home smashing to the floor in epic proportions all around me were drowned out by the piercing noise of the quake and groaning of our home. If you can imagine putting your ear against the ground a few feet from train tracks where there’s a freight train barreling down the tracks (and you were in the dark), that would be a good start in your understanding of the sounds and feeling of that 60-seconds in my life on Friday. Minutes after the second one stopped, I took a few steps towards my desk to feel for my phone so that I could call my husband and that’s when I realized that all of the contents from my desk where now shattered on the floor. Given that we still hadn’t experienced sunrise here in Alaska and because I pull my blinds closed in the morning when I turn on my office lights, it was pitch black in my office. I crawled around on my hands and knees, frantically moving my hands back and forth to find my phone. At last, I had my phone and with fingers shaking like our house just had, I dialed my husband. He was in Anchorage at his office at the time. He reassured me that everything was going to be ok and that he was on his way. Praise God for a determined, resourceful man who drives a big F350!!! It took friends of ours up to 6 hours to get from Anchorage to Eagle River. For Ben, he was here at my side in less than 60 minutes. 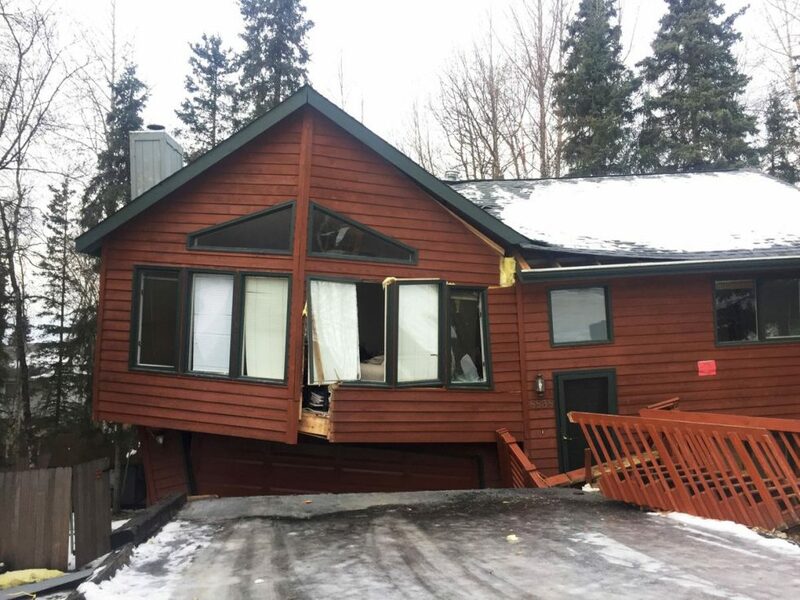 If you’ve been to Alaska then you know that there is ONE, yes ONE, highway that connects Anchorage to Eagle River and the Valley. And guess what, everyone was leaving the city to get to their loved ones back home. Ben knew he had the right tools; he was focused on a mission; and was willing to take whatever measures were necessary to succeed in getting to me. It’s this same tenacity that we must have when operating our practices. We must be crystal clear concerning our objective; have the right “tools” and then REFUSE to accept anything less than 100% fulfillment of our plan and goal. When Ben arrived, he greeted me with a quick kiss and then started racing throughout our home to check gas lines, structure, and oh yah, did I happen to mention that we had a ROARING fire going in our wood stove when the earthquake hit? Yep, talk about adding “fuel to the fire.” While he was ensuring that I was safe, I managed to get our terrified dogs outside in their kennel so that they would be safe. For those of you who know Ruger, he took the opportunity to go for one of his usual runs around the neighborhood at this time. Smart dog, huh? After assessing the entire situation, Ben came back to me and laid out our plan to start getting our home cleaned up and back in order. If you don’t have a Snap On shop vac AND a Stihl shop vac, I highly recommend them!! Ben get them plugged into our generators and we back the arduous task of clean-up. While outside seeking cover during the after-shocks, we met with neighbors in the street, each sharing our own stories. My husband can fix everything and quickly put his endless talents to work helping our neighbors with the destruction in their homes too. The initial earthquake was terrifying, to say the least. I have to admit that the after-shocks are enough to make you lose your mind!! Guess what, you, or a doc you know, may live in a similar state of panic because you don’t really know when the “shoe is gonna drop” in your life, personally or professionally. First, I am so sorry if you live in that state of fear!! It’s awful!! Please do keep praying for us in Alaska! Earthquake insurance is exorbitant and most people do not have it so we’re all coming out of pocket to fix our personal property. Let me shed some light on how ridiculous the insurance racquet is when it comes to natural disasters like this. IF we had earthquake insurance it would cost us almost $2500 more per year. Maybe you’re thinking, “What’s the big deal, Barb, it’s $2500? I wish there were words that conveyed my complete gratitude to each of you who has reached out with words of encouragement; messages of love; offers to help; and most importantly, sharing with me that you’re praying for us!!! God is good and I am so blessed to be surrounded by incredible colleagues like you! Just to be clear this is not our home. Let’s help our our military family. Please read their story and share the link below!